VillasAway negotiates the best rates and special offers on villa and self catering accommodation for travelers who like to do their own thing, at their own pace and in their own time. Right now we are offering a FREE magazine with an incredible holiday savings coupon for the independent traveler. Don’t miss out…offer closing soon! VillasAway is a resource for independent minded travelers who enjoy creating authentic personal experiences alone, as couples, families and small groups…away from the tourism crowds. Each month VillasAway will feature unique and exceptional offers, all with guaranteed best rates. We cover luxury to budget, from private villas, villa hotels and resorts and self catering hotels and apartments that meet high standards for service, cleanliness and value. Select from a range of distinctive properties that are best in class! Hand picked for you as they each offer a unique value! 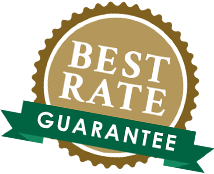 Support the local economy by booking direct with the hotel so no agents fees or commissions go offshore!